Snoop Dogg is nothing if not entertaining. And a stoner. He's an entertaining stoner. 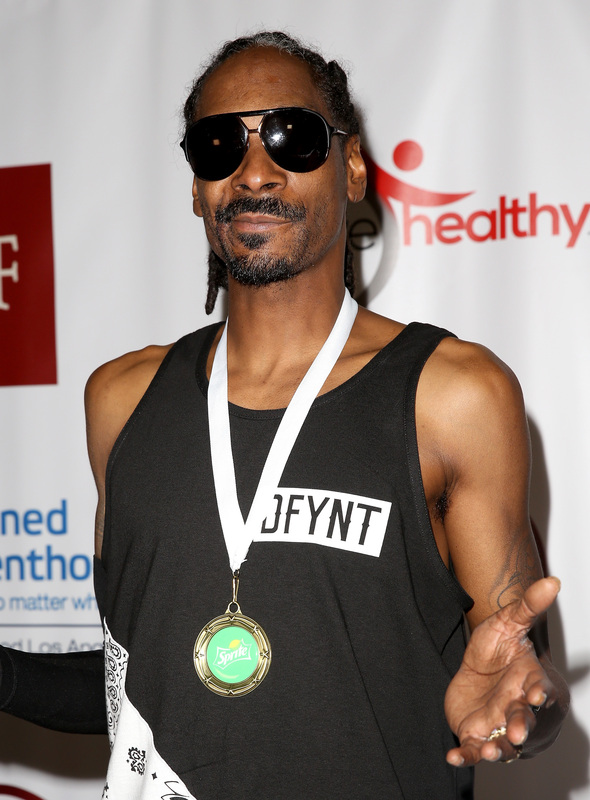 In an episode of GGN: The Double G News Network, Snoop Dogg admitted to smoking weed in the White House. Or did he? It's hard to tell. Snoop is talking with Jimmy Kimmel when Kimmel asks him if he's ever indulged in an herbal refreshment at 1600 Pennsylvania Ave. Snoop, who appears to be smoking marijuana in the video, says that he smoked weed in the bathroom, but not the White House. "In the bathroom. Not in the White House — but in the bathroom," he says, clarifying everything and absolutely nothing. Snoop then proceeds to tell Kimmel that the "CIA or the FBI" asked him if he had to go number one or number two, and he told them number two, but added that he'd have to smoke a cigarette after to "get the aroma right." The CIA or FBI evidently told him to light a napkin, and that's exactly what Snoop did. Only the napkin was a blunt. If Snoop did in fact blaze at the White House, it wouldn't be the first time a celebrity smoked something illegal on government grounds. Paul McCartney and Ringo Starr seem to have trouble remembering the real story now, but John Lennon claimed that the Fab Four smoked in the men's bathroom at Buckingham Palace before receiving an Member of the British Empire award from the queen. Fact or fiction? Just like Snoop Dogg, we'll probably never know.